Work one-on-one with Jake Epstein all year long using our online hitting academy platform and receive video review, a custom training plan and direct coach access. Epstein Hitting is a leader in softball and baseball hitting instruction. We identify swing faults and build a personalized program to fix those faults for good. With the use of slow-motion video, your swing will be compared with players side-by-side to see the differences. Jake Epstein has the tools, training and time tested drills to create a plan focused on your needs. With Epstein Online Hitting Academy, you receive interactive coaching, a customized training plan and in-depth video analysis of your baseball mechanics. All of our packages feature video annotations and weekly training plans done personally by Jake Epstein. Sign up now and relax knowing there are NO long-term contracts. You can cancel at any time. Our program is ideal for both baseball and softball players. Epstein Hitting works with players of all ages. We develop hitters as young as 7 years old, high school, college and professional hitters as well. Using your phone, tablet device, or digital camera take a video of yourself performing the action you want Epstein Hitting to help you with. Upload the video to your media locker through the Spladap app or using your web-based online account and tag it for review. Using markup tools and audio commentary an Jake Epstein will examine your video and provide analysis of your mechanics. With each video analysis, Epstein Hitting provides a custom training plan to focus on your specific needs. Direct access to Jake Epstein where you can ask questions and review your progress. Observe as Jake Epstein walks you through the mechanics of every activity assigned to you. Sample Epstein Online Hitting Academy baseball annotation by Jake Epstein. Members can choose from one to four video annotations a month. Sample Epstein Online Hitting Academy softball annotation by Jake Epstein. Video annotations compare your swing with an advanced swing sample. Just wanted to say thanks for all of your help. Blake has made incremental progress since he started working with you last year but it seems like several things are starting to click all at once and it’s showing up in his practice swings on the swing away, off the tee, and at the field. Your video analysis is spot on and the drills are working. The video analysis really focuses in on areas Blake needs continued work. Additionally, the video analysis is educational and at the same time entertaining. He really looks forward to your comments and feedback. It’s obvious that you enjoy what you do. You are a natural born teacher/ coach and it shows thru in your analysis. Blake’s getting confidence from all that he has learned so I just wanted to say thank you. I wanted to drop you a note to let you know that Maci is doing great. She continues to improve as she reinforces what she learned last summer with you. Some recent highlights: In her 14u elite team’s first scrimmage, a double header, she went 7-8 with a single, two doubles and four triples! This past weekend she was asked to pick up on the 18u Gold team. Maci went 3-6 with a double, two singles plus a walk. Remember she is still 13 for another month! 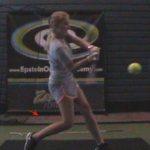 The Gold coaches were impressed and told her she has “perfect” swing mechanics! Thank you for getting her on track. The sky is now the limit for her. The Epstein Hitting system was created by 10-year Major League player, Mike Epstein. In addition to leading the 1972 World Series champion A’s in home runs, Mike played for arguably the greatest hitter of all-time, Ted Williams. Using what he learned from his career and from Ted Williams, Mike built a system to identify and fix swing faults. 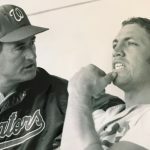 Mike received the only letter of recommendation for hitting instruction Ted Williams ever gave out. After working closely with Mike to learn the craft of teaching hitting, Epstein Hitting is now led by Jake Epstein. 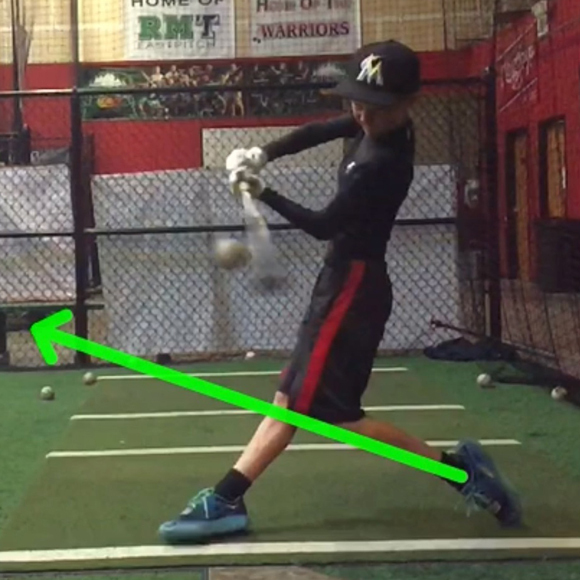 Jake has perfected the use of video analysis to create a plan to maximize a player’s swing. In addition to slow-motion video analysis, Jake has built a library of drills that he uses to address the unique needs of individual players. 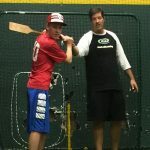 Jake has been teaching both amateur and professional baseball and softball players since 2003. 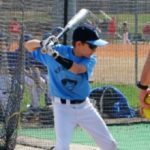 He learned the art of hitting under his dad, Mike Epstein, who was a 9-year Major League first baseman.